Every tire has a Tread Wear Indicator (TWI), which form a triangle located on the sidewall. TWI is an indicator of tire wear and is also a benchmark to you to check if your tire is worn out. Tires should be changed immediately when the tire tread has surpassed the indicators. Worn out tires compromises handling and braking distance tremendously. Consult your nearest tire dealer if there are any signs of physical damage or deformity of your tires. There any many brands and patterns of tires available today. 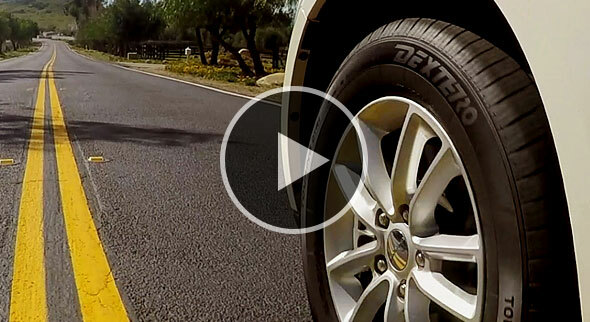 So how do you know that you are choosing the tires suitable for your driving needs? Generally, tire patterns can be differentiated into 3 categories. The Directional pattern, also known as Unidirectional, the Non-Directional pattern, also known as symmetric, and the Asymmetric pattern. All three categories of tire patterns have different characteristics to provide for different needs of drivers. 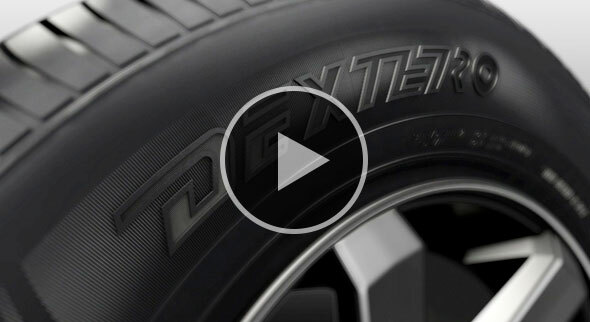 Directional pattern tires have lateral grooves on both side of the tire which points in the same direction. It is usually in a "V-shaped" pattern. Drivers who want to have high speed performance level of the tire. Drivers who want to have a comfortable and quiet drive. Asymmetric pattern tires have unique patterns differing on both sides of the tire tread. The outer tread area of the tire usually has larger grooves to disperse water to increase wet handling, while the inside tread area usually has smaller grooves to increase contact area with the road. Drivers who want tires with high performance capabilities. The tire's air pressure standard for each vehicle is set by the vehicle manufacturer and can be found in various areas of your vehicle, such as at the end of the driver's door, at the bottom of the door or in part in the storage box at the door of the vehicle. Low air pressure can cause damage to the sidewall, thus decreasing the load carrying capacity, and also consume more fuel. Hence the tire pressure should be checked regularly, at least once every month. Allow the tires to cool down after driving before checking the air pressure in order to obtain a more accurate reading. Improper air pressure leads to irregular wear of the tires. Wear and tear in the middle of the tire is caused by excessive air pressure. On the other hand, low air pressure results in uneven wear on both sides of the tire shoulder. Regular tire rotation helps to prolong the tire's life and maintains optimum performance and mileage of the tires. Tires not rotated on regular basis will result in uneven wear and will also compromise the performance of the tires over time. There are 2 different ways of tire rotation, the 4-Tire rotation and 5-Tire rotation. it is done by swapping the front left tire to right rear and front right tire with the rear left. it is done by exchanging the front right wheel with the left front wheel. Likewise for the rear wheels, rear right tire will be exchanged with the left rear tire. This method is normally used for non-directional tires. it is done by swapping the front right tire with the back right tire, and the front left tire with the back left tire. This method is normally used for directional tread pattern tires. 5 tire rotation relatively similar to the 4 tire diagonal, except that the spare tire will also be rotated. The spare tire is to be mounted on the left rear, left rear tire moved to the front left. The left front tire will be moved to right back and right back to be moved to the front right. Lastly, the right front tire will be used as the spare tire. This method of rotation is normally used for 4-wheel and all-wheel drive vehicles. Note: Do not use the 5-Tire rotation method if the spare tire is of a different brand/model to the rest of the tires.